If you like car racing games in any form then this article is must read for you! Here, we have covered 5 best battle racing games that you should try this year. It includes some most amazing & extreme car racing games to offer you an enhanced gaming experience. 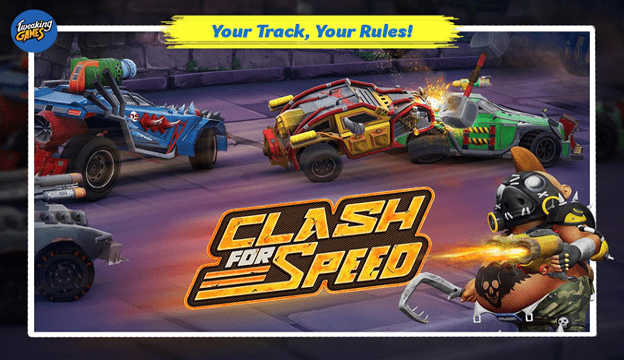 Clash for Speed is futuristic combat car racing game that comes equipped with abundant useful features. Here, it offers you numerous car options, deadly weapons, original car stickers, pre-defined 3D race tracks, different environments, upgradable tires & decals and more. One of its unique features allows you to design your own 3D track to race. To enhance difficulty level of the track, you can add on-road obstacles and set off-road traps so that enemies can’t win the race. Here, complex tracks will bring you more trophies which you can use to explore other features of the game. Battle Cars Racing brings you to the extreme auto battle zone where you need to win against enemies in a duel at all hazards. It offers a number of car options to choose from to enhance your racing experience. It also offers car customization & tune-up option with consumables like nitro & armor. You can use these consumables to boost your car performance significantly. It offers next-gen graphics and amazing environments to make your racing experience thrill. Here, you can select from high detailed muscle cars & SUVs to bring racing experience at new levels. In other features, it offers explosion physics, damages physics, nitro, miniguns, cannon guns, high detailed tracks and more. Battle Cars Online offers extreme car racing experience to players who love racing & shooting games. For seamless gaming experience, you will not be disturbed by traffic or police instructions as the need to drive fast in the game. This real-time multiplayer car driving simulator fills your game feeling with endless fun. 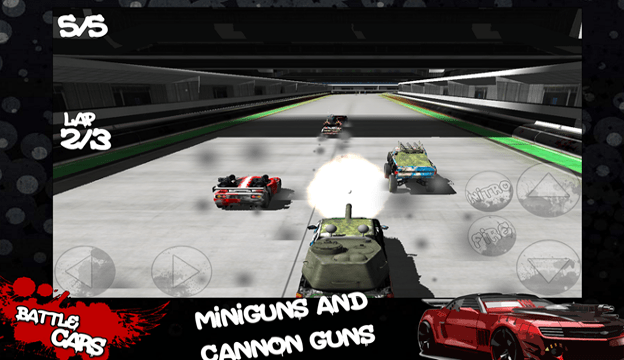 Here, you will find cars mounted with deadly guns on the roof to dodge the enemies. During the race, you will drive through off-road rally zone environment for the improved gaming experience. 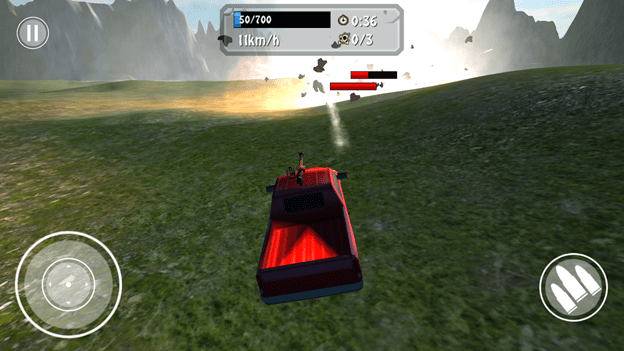 This smart battle car racing game offers easy control and realistic acceleration. Further, it offers beautiful graphics, accurate physics and more. 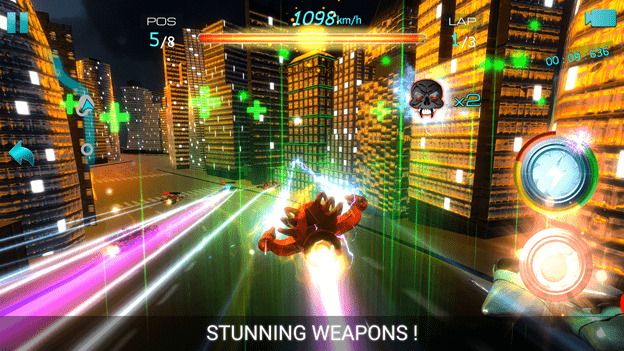 This battle racing game brings you to space racing where you will be in the war-like situation. Here, you need to battle deep in space, in dangerous valley or sometimes in a city. It gives you chance to become master of both earth and sky. To win the race, you need to develop best attack strategies against your opponents. Which each level you cross difficulty level will be increased, and you will be able to upgrade your spaceship with 10+ space ship options. Further, it offers 40+ gameplay levels, 6 types of weapons and 10 different combat fields where you can test your racing and combat skills. It offers multiple racing modes including elimination and classic racing modes. Here, you need to achieve the assigned missions to win the prizes. It also offers easy driving controls with options like steering wheels, tilt, gas pedal, directional keys, and more. In other features, it offers 5 different camera angles and 10+ various medals to show you are a complete fighter. 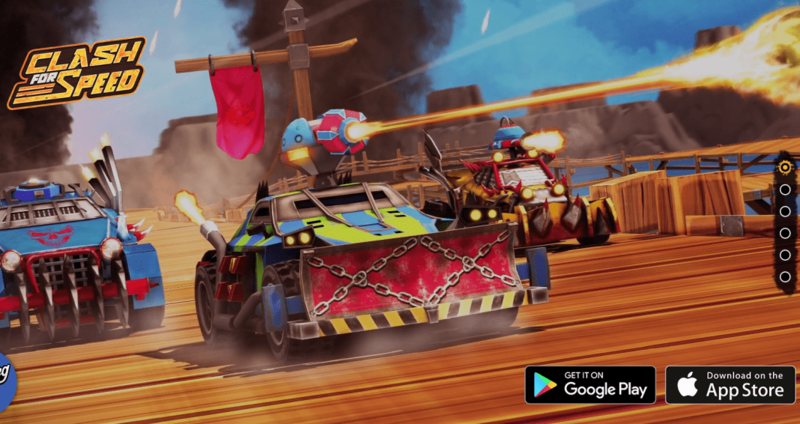 This powerful game offers you exhilarating and exciting combat car racing experience where you get a chance to upgrade your cars with stronger and faster car options. It offers 4 different weapons types including shotgun, minigun, Raygun and missile launcher to choose from. Here, you will find 2 battlefields and 20 single campaign stages each to test your battle and racing skills. This free to play game offers 9 player cars and 6 enemy cars to offer an enhanced gaming experience. When it comes to racing games, you get abundant options to choose from. 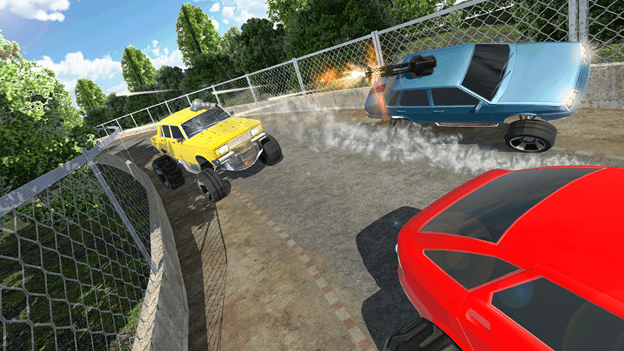 Here, battle car games have always been a priority of game lovers as it offers extreme racing & shooting experience. In this article, we have discussed some of these best games in detail. If you know more such games, feel free to comment below.